"Sampath Speaking" - the thoughts of an Insurer from Thiruvallikkeni: wearing a mask in life ... Martin Crowe passes away at 53 ! wearing a mask in life ... Martin Crowe passes away at 53 ! Many fear failure, of humiliation, rejection and of unworthiness. However, once you steam past that and move into the stratosphere of triumph and glory, individual and team success, you enter another world; the expectant world. Basic failing is actually a very acceptable human trait. ~ is what he spoke in a lecture….. way back in Jan 1984 NZ Herald hailed "Hogan", the hero as New Zealand battled to save the first cricket test against England at the Bain Reserve in Wellington. About 12 years ago an Auckland youngster sat glued to the seat in front of a television set watching the United States prisoner-of-war programme Hogan's Heroes. The youngster never missed the programme, and took the nickname "Hogan" after the hero who in every programme foiled the Germans. Yesterday, that youngster, grown to the 21-year-old Martin Crowe, foiled the rampant England cricket team for 276 minutes as he scored his first test century, 100 of the eventual New Zealand total of 335 for seven wickets, giving New Zealand a slender lead of 91 going into the last day today. He was once dismissed for 299 in a Test - I had watched and admired his ease of picking up runs of the hip ~ he was in Chennai but could not bat a single delivery……….. Martin David Crowe, the former New Zealand captain, writer, broadcaster and mentor, has died in Auckland at the age of 53. Crowe had suffered from lymphoma since 2012, and withdrew from public life in his final months. "It is with heavy hearts that the family of Martin Crowe, MBE advise his death," his family said in a statement. In 1991 his abundant ability saw him named New Zealand sportsman of the year and awarded an MBE for services to cricket. Crowe was inducted into the New Zealand sports hall of fame a decade later, having continued a love affair with cricket that extended long beyond his premature retirement. 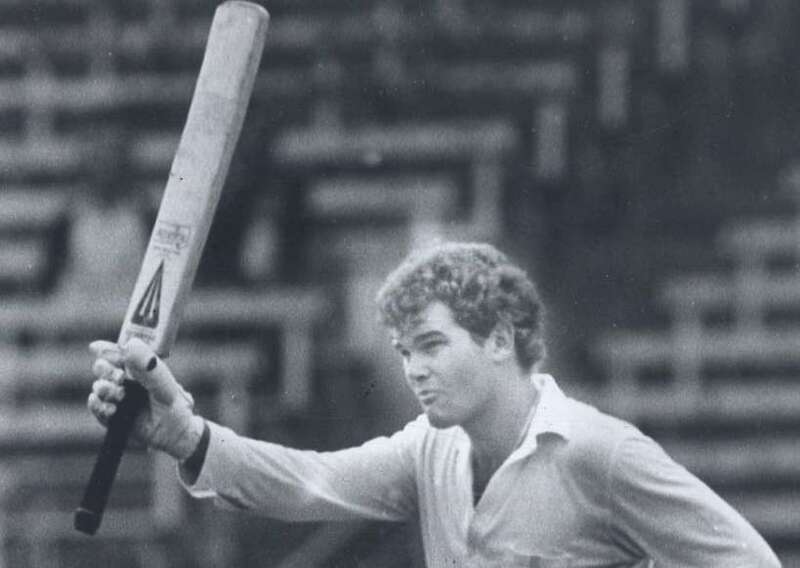 A stylish batsman, Crowe made his test debut in 1982 at the tender age of 19, batting at No 6 against Australia and experiencing the rare distinction of being run out in his maiden innings. Widely considered the finest batsman in New Zealand cricket's history, Crowe quickly established a reputation as the most meticulous of batsmen, his technique widely admired. Arguably Crowe's finest month was his inventive and inspirational leadership of New Zealand during the 1992 World Cup, when he took an unfancied side to the top of the competition table before a narrow defeat to eventual champions Pakistan in the semi-final at Eden Park. This performance confounded many, not least the co-hosts Australia who were completely overshadowed by Crowe's tactics and skill during the opening match of the tournament. His final days had tinge of sadness - "It is an odd situation where you are paid out for death while you're still alive, but it's a clause they have in there these days’ – he was to say a few months back, having been paid insurance pay out. "I sleep 15 hours a day, everyone is saying, 'He's doing really well,' but I'm out of it most of the time." "I am supposed to be dead! I'm just going with natural remedies. It's tough to get a death sentence put in front of you by doctors. It's wrong. "- was really a sad statement. Earlier, in May 2011, 15 years after his premature retirement, Martin Crowe had announced his desire to return to club cricket at ripe age of 48 but was forced to retire hurt 3 balls into his first innings. Crowe pulled a muscle while batting for Cornwall against Parnell - a jerk of the hip, a single to midwicket adding to his countless runs was the style of this high scoring right hander in his hay days.. he was known to rotate the strike, run so well and keep the score card ticking all the time but while getting off the mark in the match, he pulled a thigh muscle running a single into covers. ~ and sad, it is to read of the passing away of Martin Crowe. RIP.